Central Park plays an essential role in the everyday lives of New Yorkers by providing 843 acres of paths, lakes, and open spaces to escape the din and chaos of the surrounding city. The design for the park was conceived by Frederick Law Olmstead and Calvert Vaux in 1857, who submitted their "Greensward" plan for Central Park during a contest organized by the Central Park Commission. When Central Park first opened in the winter of 1859, it was the first artificially landscaped park in the United States. Olmstead and Vaux's design integrated formal and pastoral elements throughout the park, offering visitors everything from formal walkways like The Mall and Literary Walk to the wild, woodsy area of the Ramble. Visitors to New York City are often impressed with its beauty and size, making it a wonderful place to enjoy a bit of relaxation and get a better sense of what it's like to live in New York City. It's a great place for picnicking, listening to music, and exploration. And it hosts many free events, particularly in the summer. Take a look at this suggested itinerary for spending one day on the West Side to make the most of your Central Park visit. You can explore Central Park on your own, take a guided walking tour, or just relax and people-watch. Or you can take a ride on the carousel, have a picnic, row a boat around the lake, pay your respects to John Lennon at the Strawberry Fields memorial, or just amble around the peaceful and green scene. Central Park is quite large, but these directions for getting to Central Park by subway or on foot should help you find your way. Central Park is filled with many sights to see and lots of winding paths, so you'll be very happy to have a Central Park map with you when you visit. There is also a printable version of the Central Park map you can take with you, and it's free. 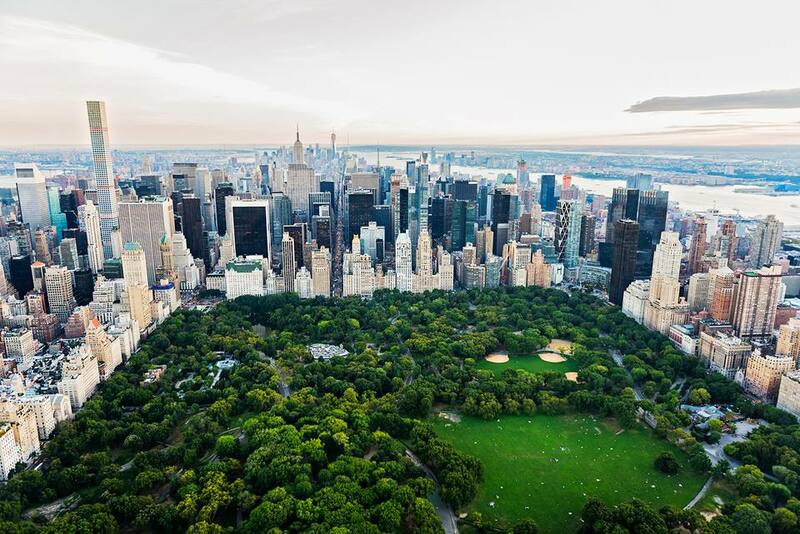 If you want Central Park to be at the heart of your visit to New York City, consider staying at one of these New York City hotels with rooms overlooking Central Park. They include JW Marriott Essex House New York, Ritz-Carlton Central Park, The Plaza, The Pierre, Park Lane, Trump International, Mandarin Oriental, Sherry Netherland, Excelsior, and Astor on the Park. All but the Excelsior and Astor on the Park are very expensive luxury hotels. Central Park hosts a wide variety of different events throughout the year, particularly in the summer. Adding one of these Central Park concerts or events to your New York City itinerary is a great way to take a break from the usual tourist activities and experience a taste of life in New York City. You'll find several iconic New York City places to grab a bite in Central Park. Tavern on the Green: This legendary NYC restaurant has been reinvented numerous times. Loeb Boathouse: Offers both casual and more formal options near the lake. There are also a variety of vendors throughout Central Park selling hot dogs, pretzels, beverages, and ice cream. Pack a Picnic: Picnicking in Central Park is a time-honored way to have a delicious meal while people-watching. It's also a great idea to pack a picnic for Central Park if you're attending a concert. And for budget-minded travelers, a picnic lunch or dinner in Central Park helps you save money and have a great experience at the same time. Check out these photos of Central Park before you go to get ready for your visit and help you decide what is most important to you on your visit.